Police shot a homeless man brandishing a knife around 1:30 p.m. today shutting down several blocks around 6th and Stanford. 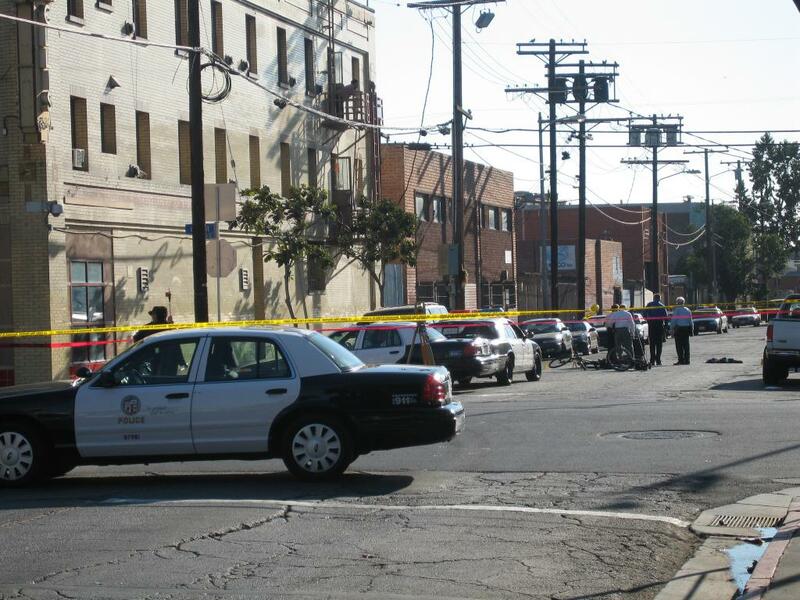 The ensuing investigation prevented access to the UCEPP building where the Skid Row Photography Club holds its meetings. According to an eye-witness, the police officers asked the man to put the knife down. When he allegedly lunged at them, they opened fire and shot him. The police then proceeded to handcuff him and called an ambulance. The eye-witness noted that the ambulance took an unusually long time to arrive, upwards of 20 minutes. Normally emergency services arrive very quickly in Skid Row as their station is just a few blocks away. The suspect was still alive when loaded into the ambulance, but his current condition is unknown. The Skid Row Photography Club, of which I am a co-founder along with Michael Blaze, meets every Tuesday at 3 p.m. at the UCEPP center. We have a gallery show coming up starting with a soft opening in the beginning of November at Stella Dottir's shop and gallery. The official opening will be during the Downtown Art Walk on the 13th of November. I am very excited about the opening. The group has produced an amazing body of work. Too much to display in just one show. The website will be up soon so and you'll be able to see this wonderful work for yourself. 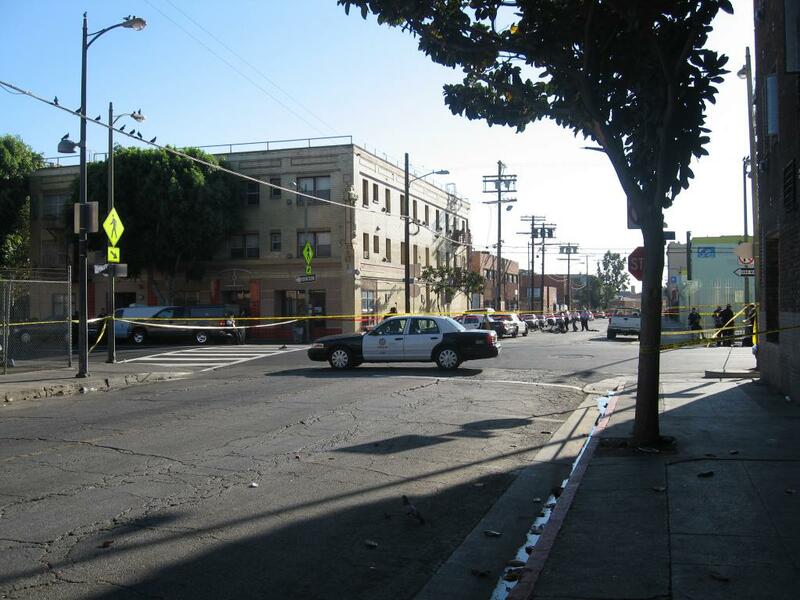 The crime scene from an officer involved shooting inconveniently blocks access to the Skid Row Photography Club meeting in this photo from earlier today. The UCEPP building is inaccessible for the Skid Row Photo Club meeting due to an investigation of an officer involved shooting that happened earlier in the day. Update: ABC 7 has a story along with video and photos from my eye-witness.